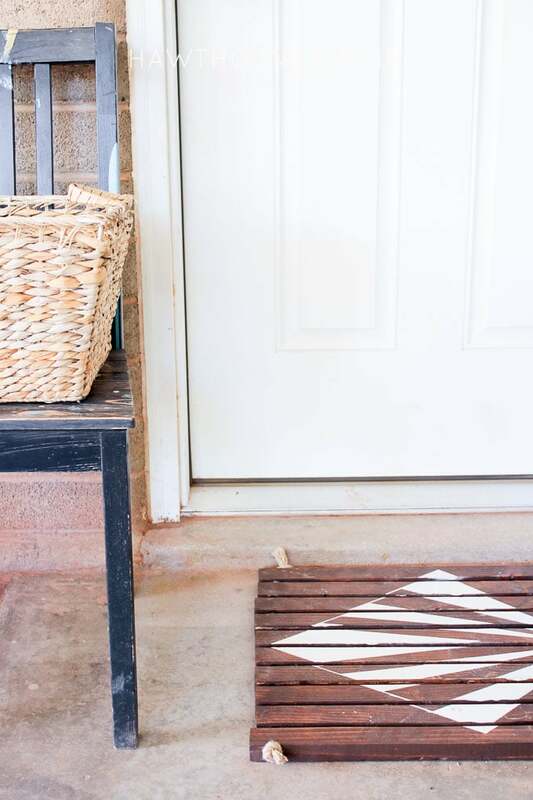 Hello Pretty Provident readers, this is Shonee here again from Hawthorne and Main to share with you a fun easy DIY project. 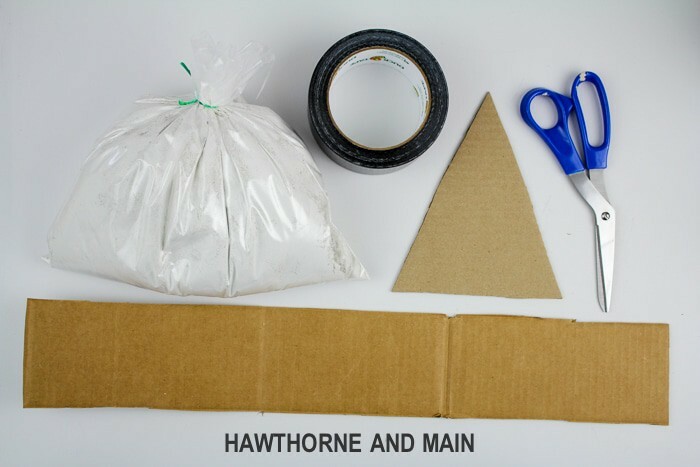 Hawthorne and Main is the place to find all sorts of fun DIY projects. 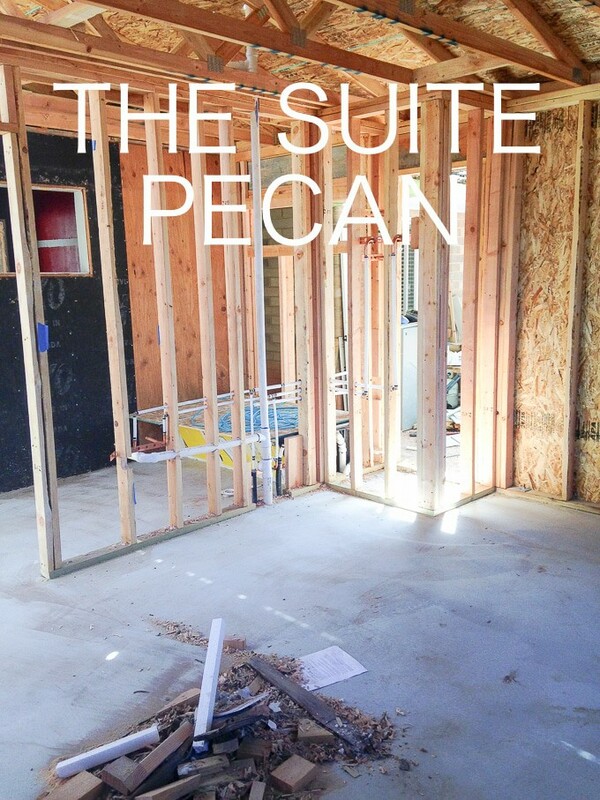 We just started our biggest project to date, an apartment addition onto our home-which we affectionately call The Suite Pecan. We are building it DIY style, even with the ups and downs so far I am excited to get it finished. Have you ever crafted with cement before? If you haven’t, you should! 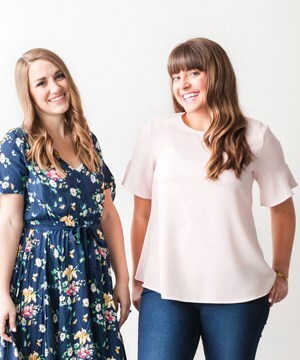 It’s such an easy medium to work with and there are so, so many different projects to make with it. 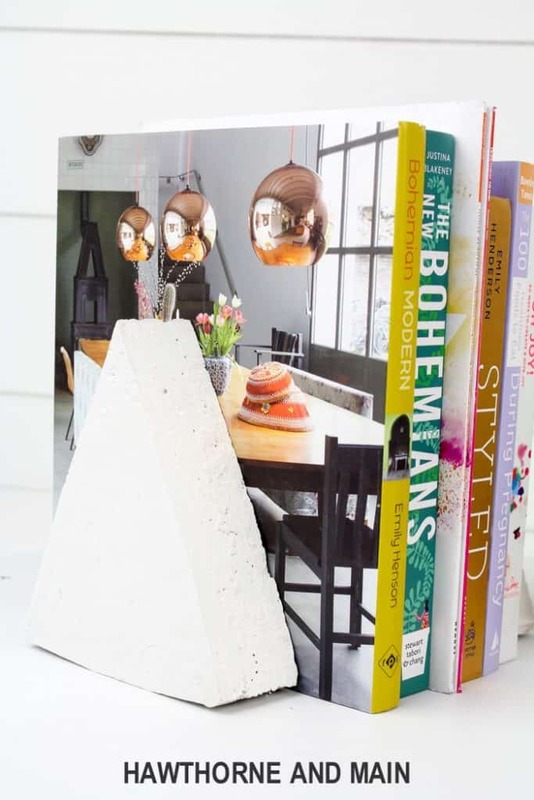 Today I am going to show you how to make these modern cement bookends, the perfect project to get your toes wet on working with cement. 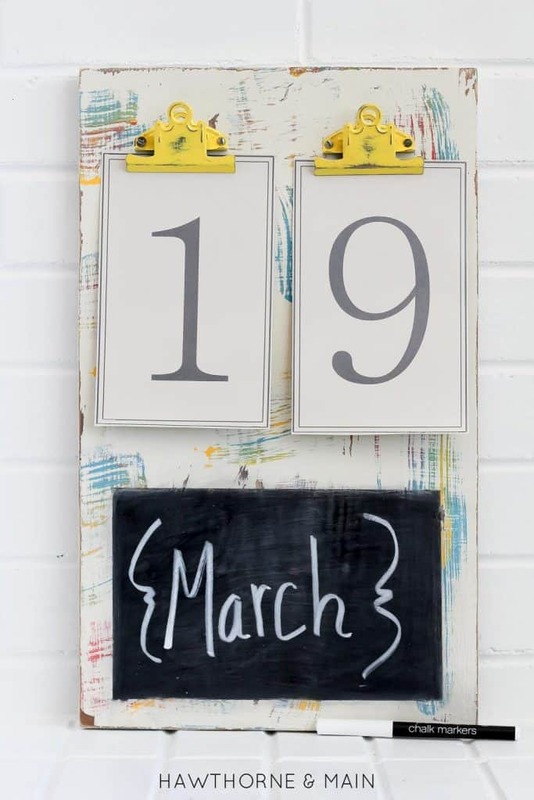 Start by cutting a piece of card board that is 19.5 inches long and 2.5 inches wide. Make folds in the card board at 7 inches from either end of the piece of cardboard, see the picture above. 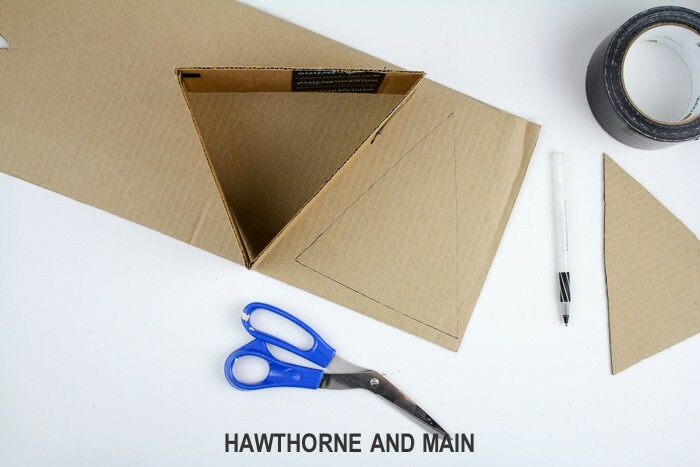 Fold the cardboard into a triangle and tape the top to secure it into place. 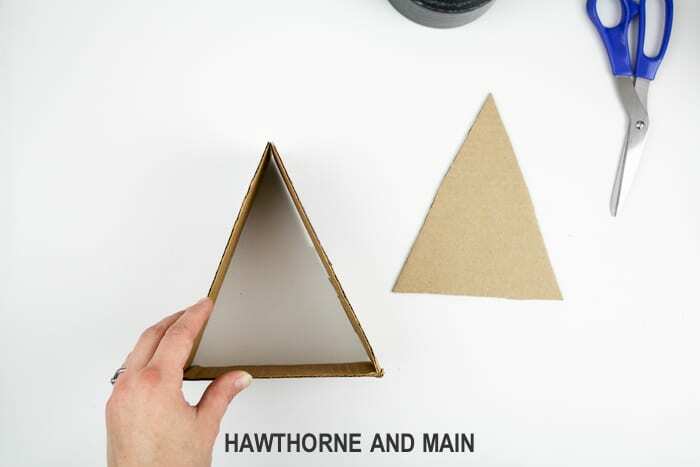 Place the cardboard triangle onto another piece of cardboard and trace the inside of the triangle. 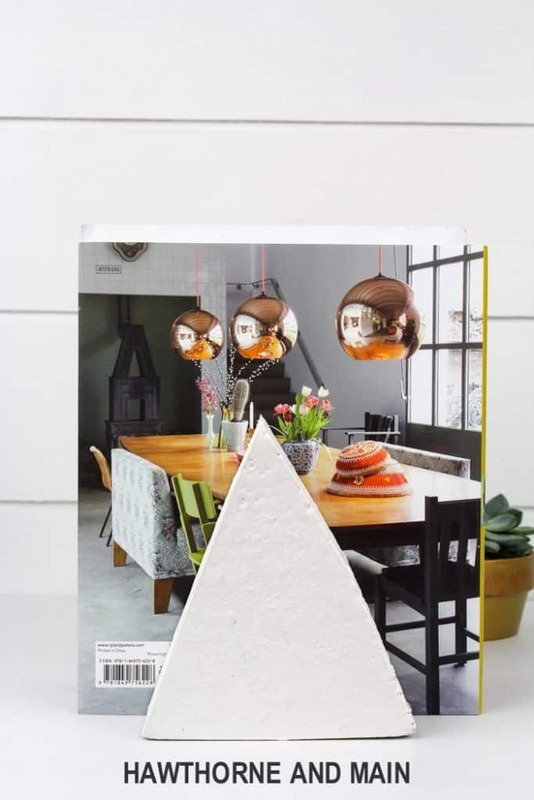 Cut out the triangle and place it inside the form to make the bottom. 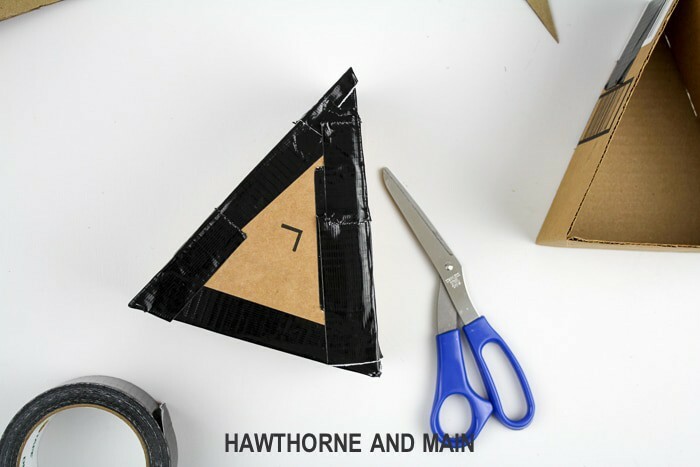 Using duct tape, tape the entire inside of the triangle form. Do not skip this step. Spray a light coat of cooking spray into the form. Make sure the duct tape is quite smooth on the inside. You will see any imperfections in the cement. After you measure and cut both pieces of cardboard lay them out flat, separately and add the duct tape this way. This will ensure that the tape is on as smooth as possible, then reassemble them together. After you have the form assembled add more tape around the corners to make sure it is secure and so no cement will leak out. Mix the cement with water. I never really measure how much water to use. It is always best to start with a little because you can always add more. You want the cement to all be wet, but just barely wet. It should not be soupy but pourable. 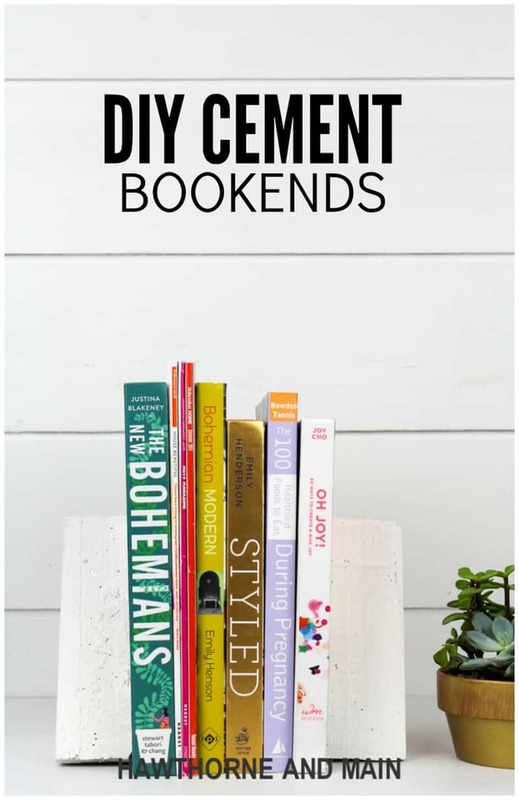 Pour equal amounts of cement into each of your forms. Let them cure over night. Once the cement has cured, use your scissors to cut the mold off. 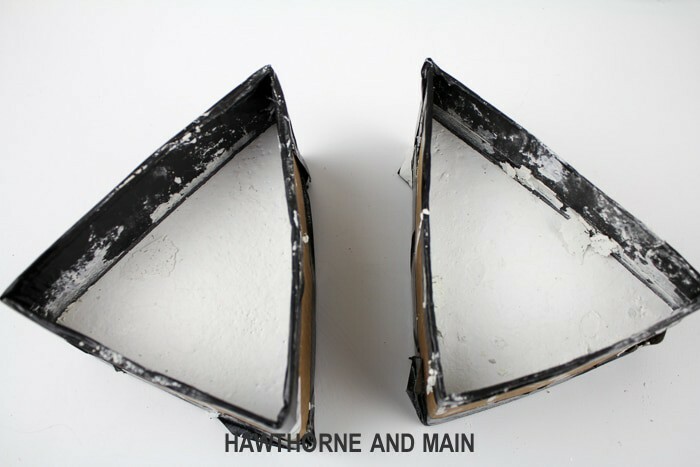 If you have some rough spots on the cement use sand paper to smooth them out. 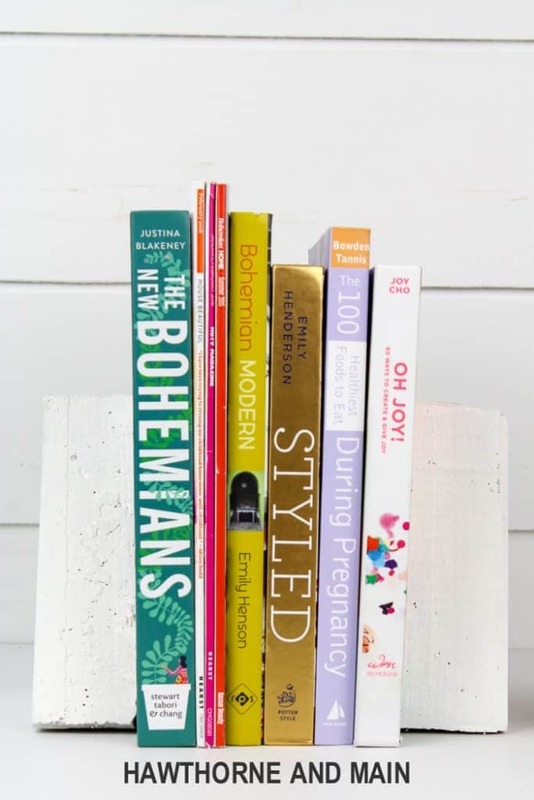 You can get creative and paint the bookends or leave as is. I am off to catch up on some much needed reading. Gotta make sure my style is up to par and that this baby of mine is getting good nutrition! !